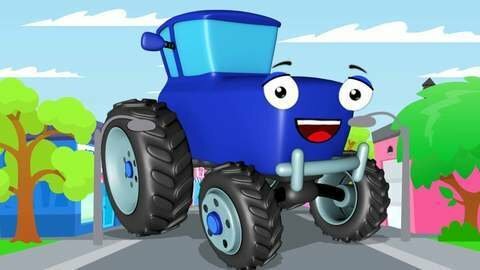 Be surprised at how huge the blue Tractor grows in this car cartoon video for kids because of the balloon pump that it accidentally puts in its mouth. It grew so much that two lanes are not enough for it. The Police car and Helicopter can’t do anything about it but the Ambulance shrinks it by shooting darts at it. Keep your little ones entertained with other car cartoon videos at SeeZisKids.com so visit them today!